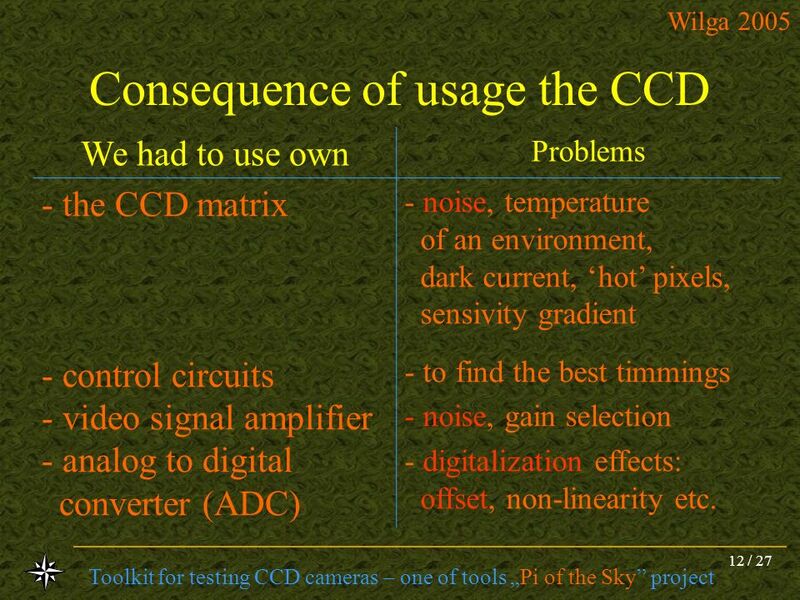 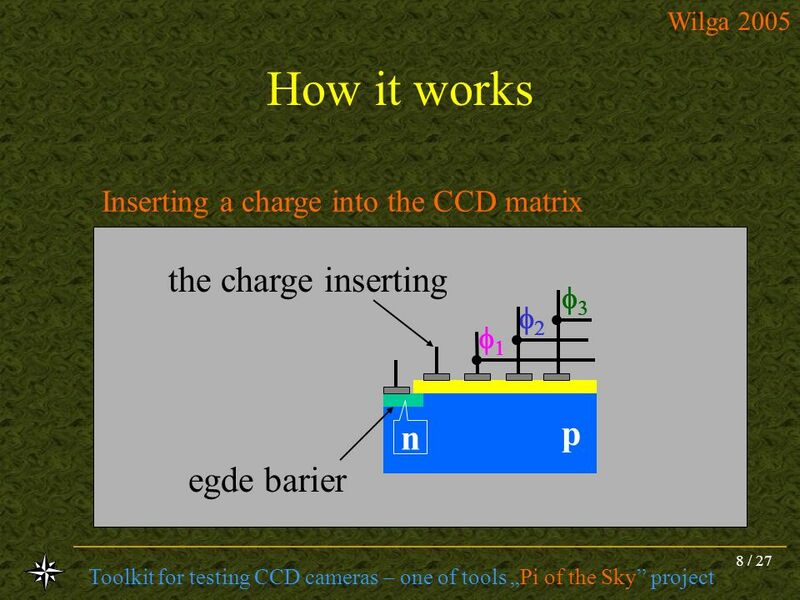 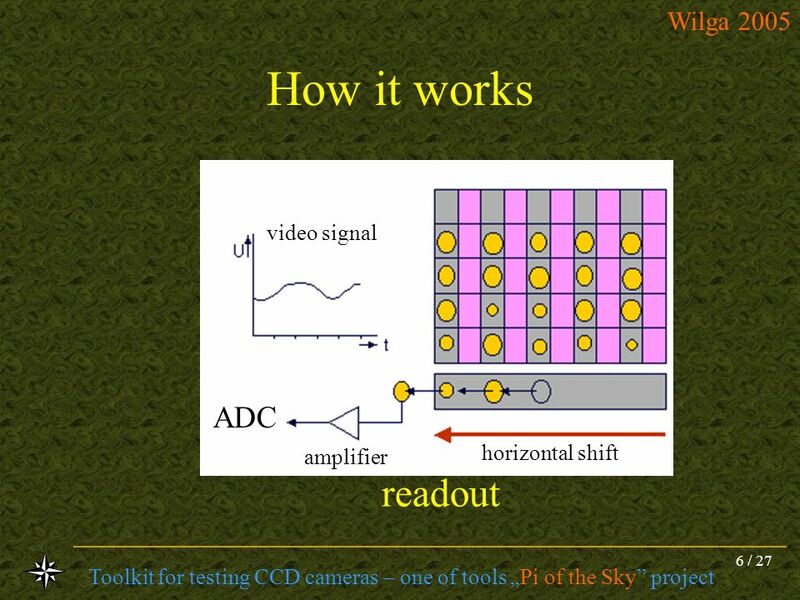 We had to use own Problems - the CCD matrix - control circuits - video signal amplifier analog to digital converter (ADC) noise, temperature of an environment, dark current, ‘hot’ pixels, sensivity gradient to find the best timmings noise, gain selection digitalization effects: offset, non-linearity etc. 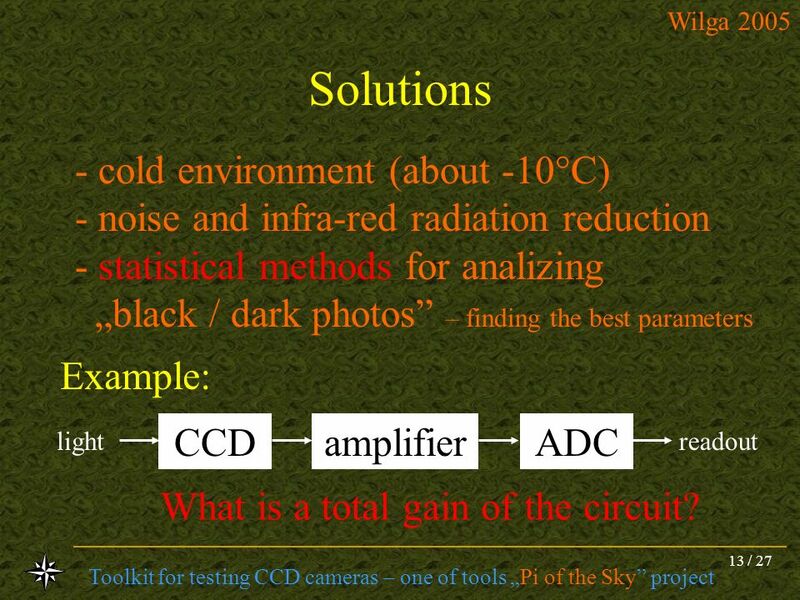 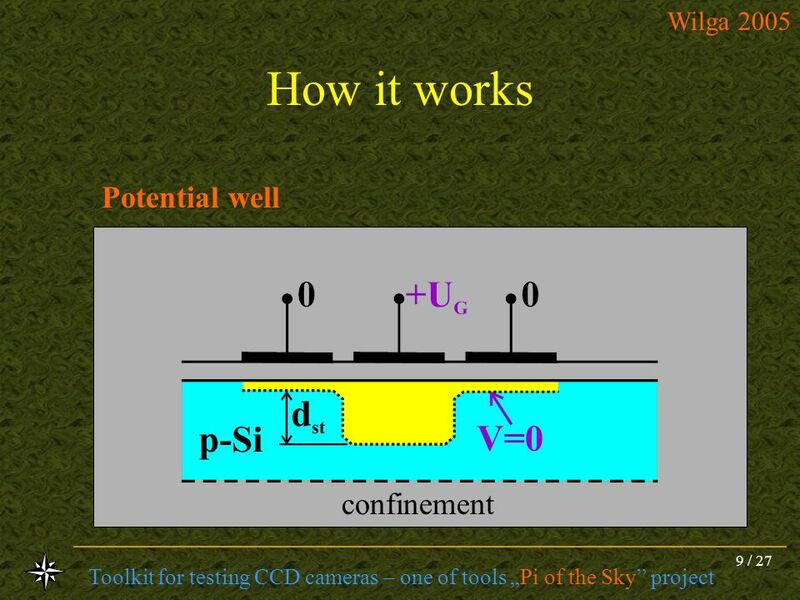 - noise and infra-red radiation reduction - statistical methods for analizing „black / dark photos” – finding the best parameters Example: CCD amplifier ADC light readout What is a total gain of the circuit? 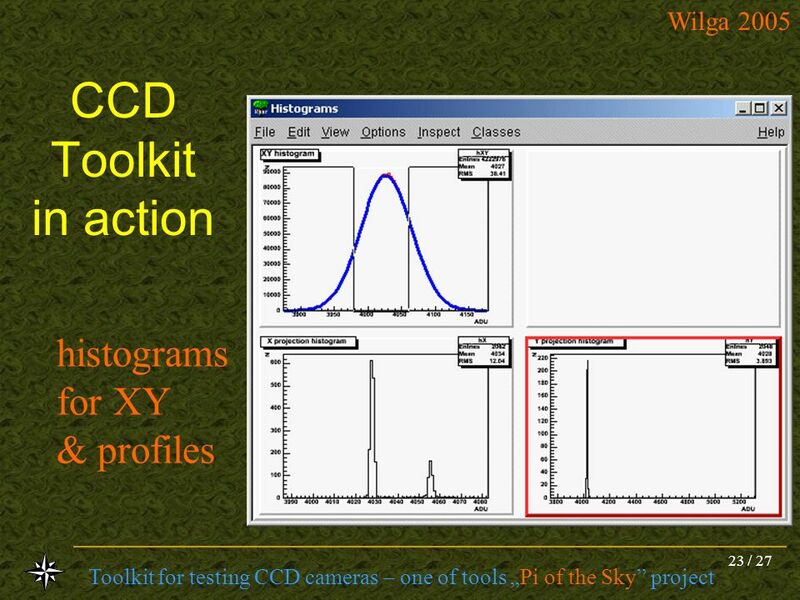 X and Y profile (projection) histograms divide the image into regions and make single pixel histograms, fit Gauss distribution parameters (mean and sigma values) We can estimate where is a bad region. 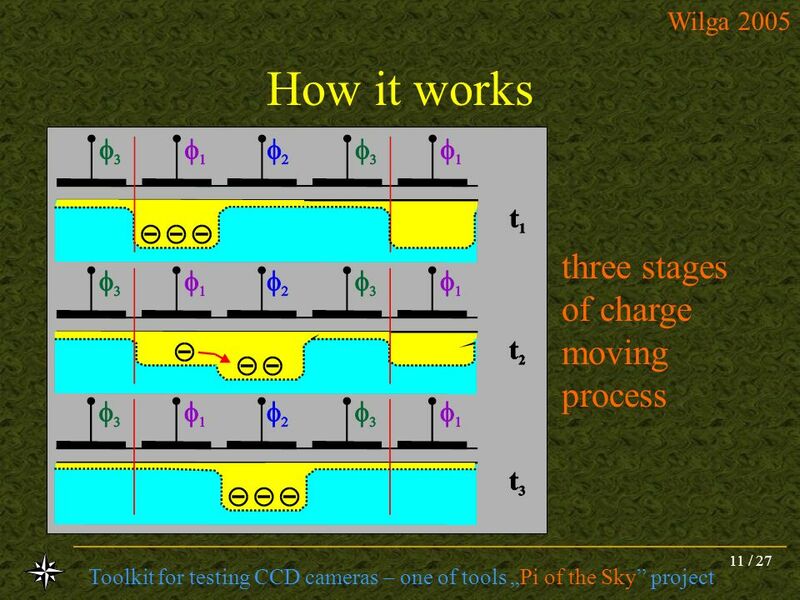 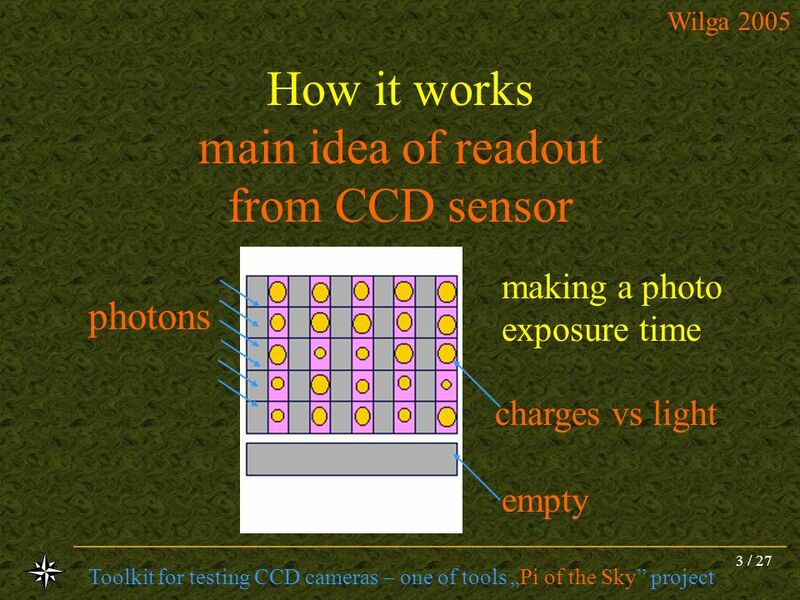 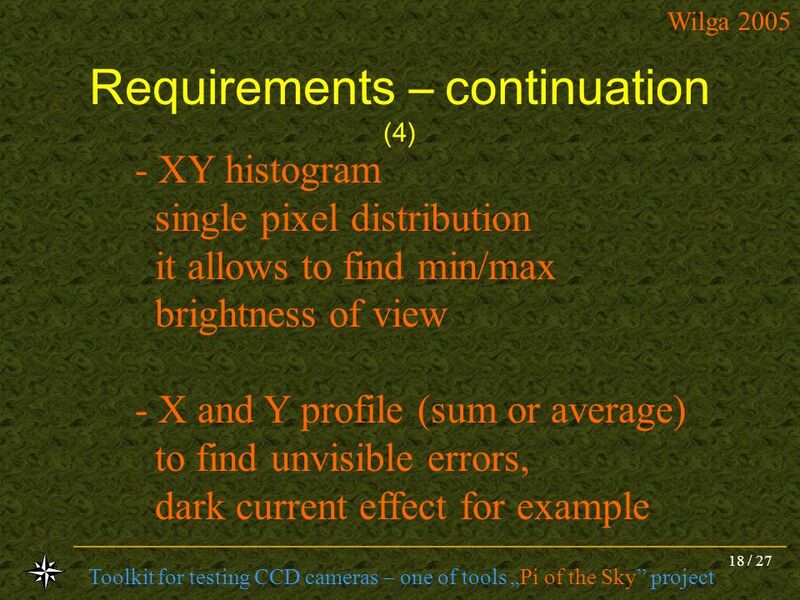 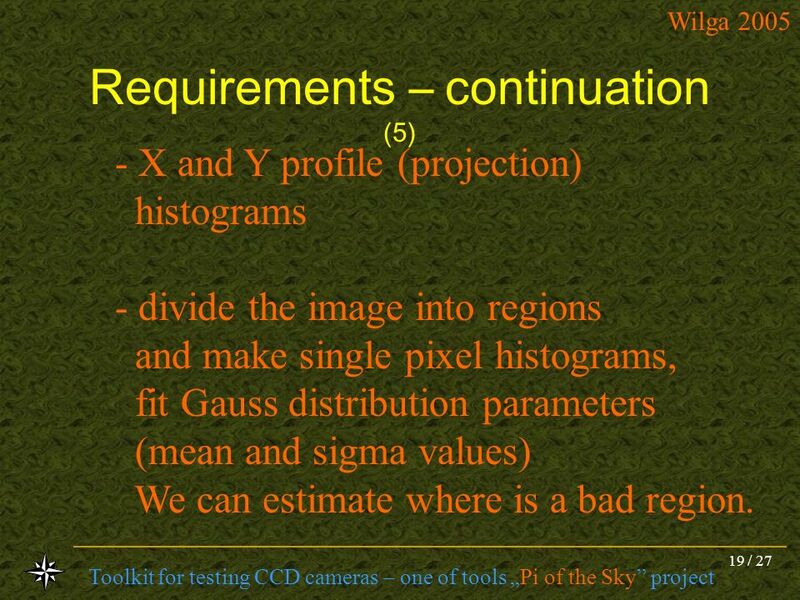 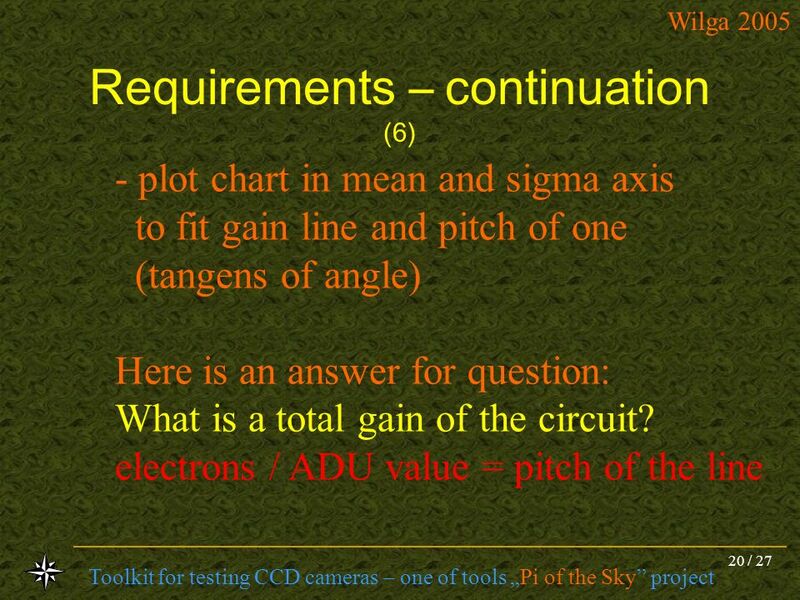 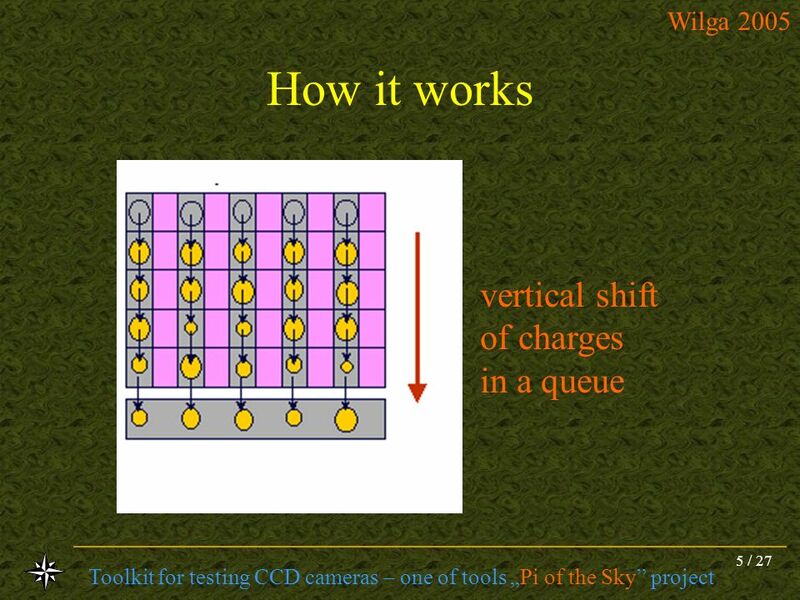 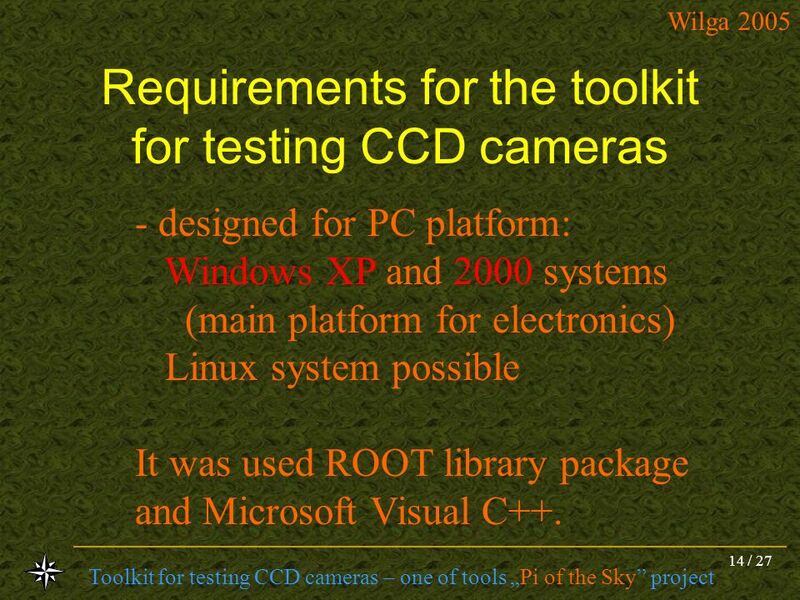 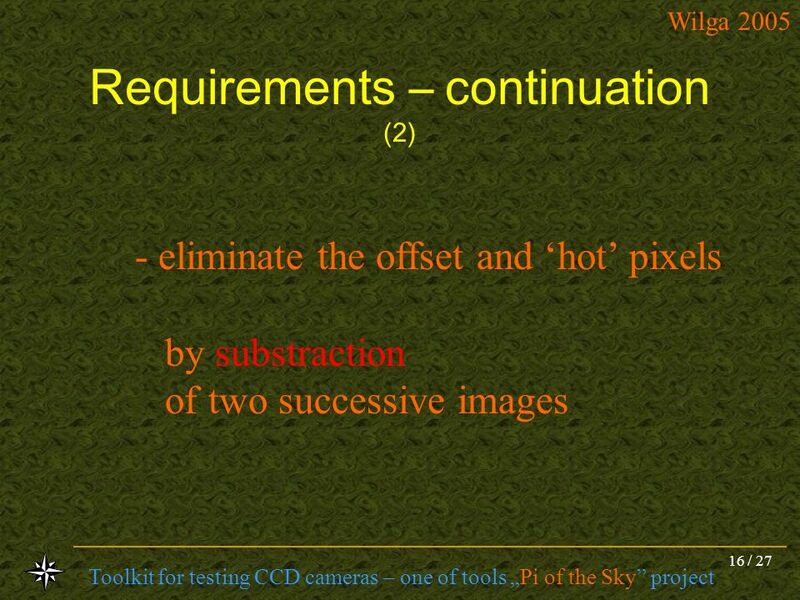 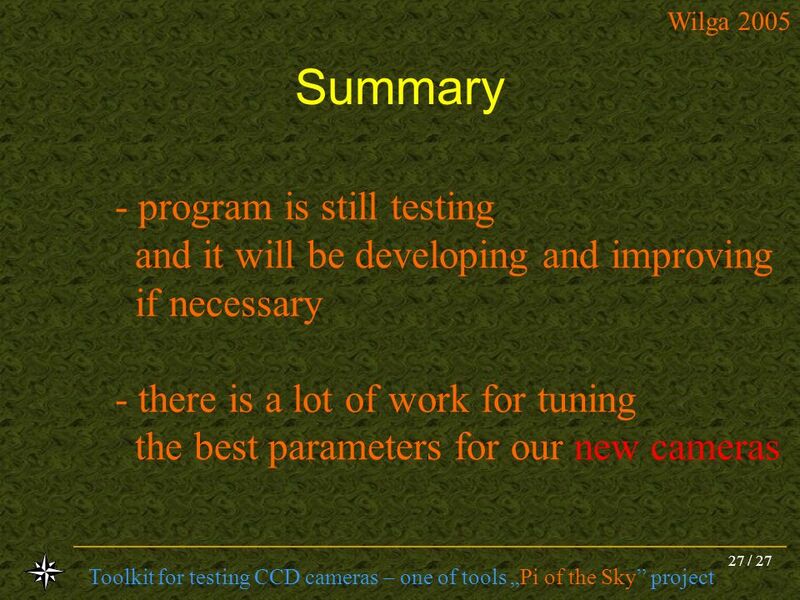 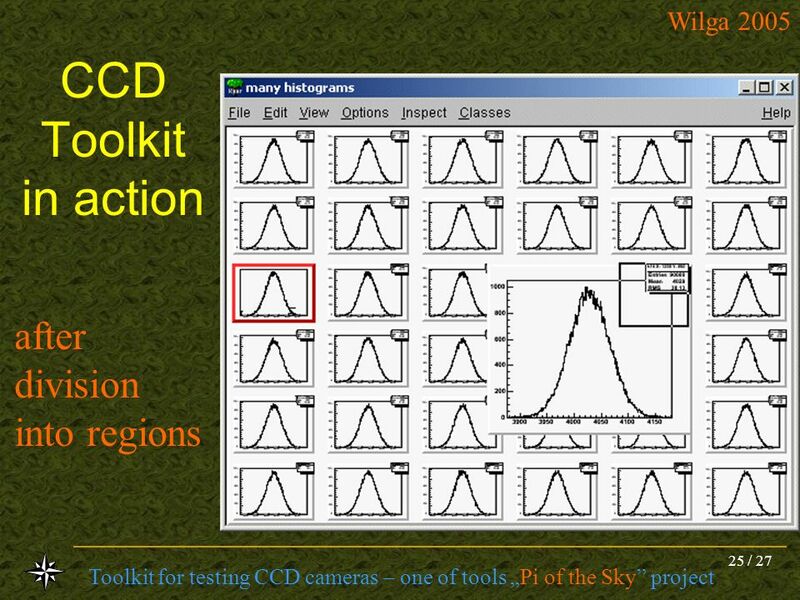 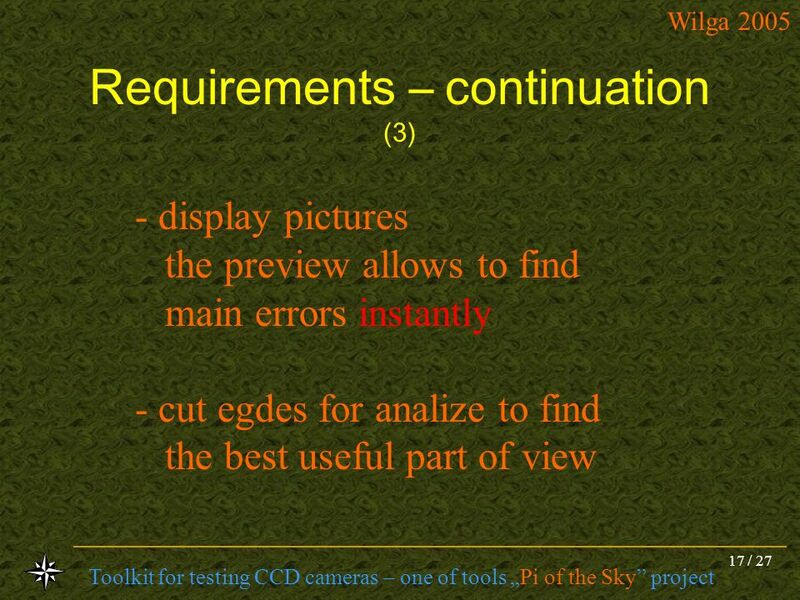 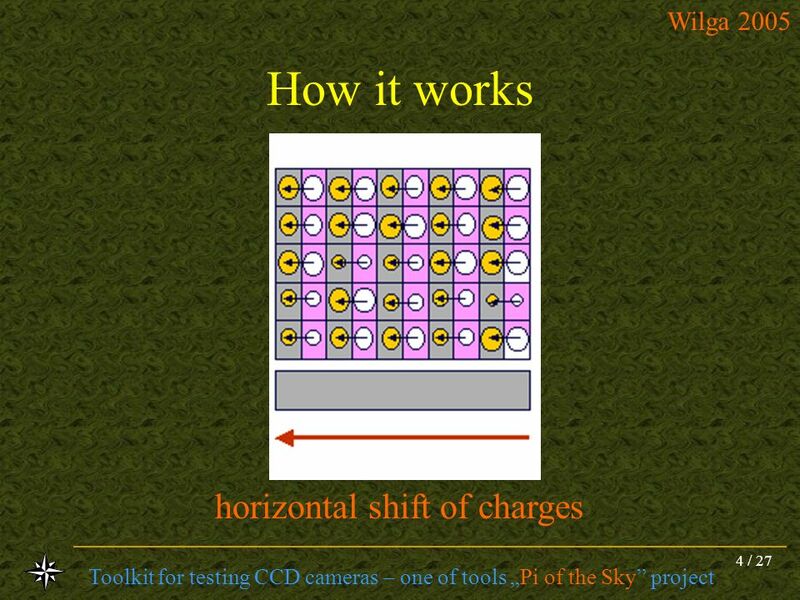 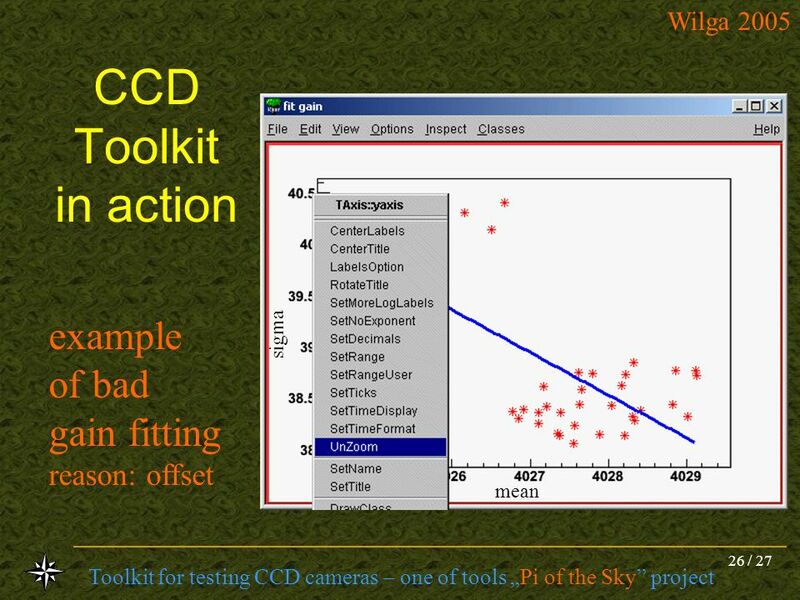 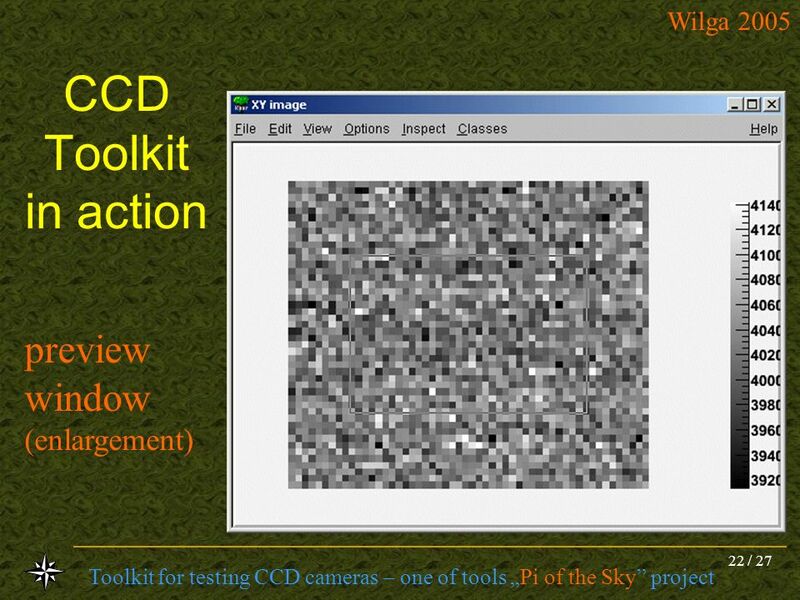 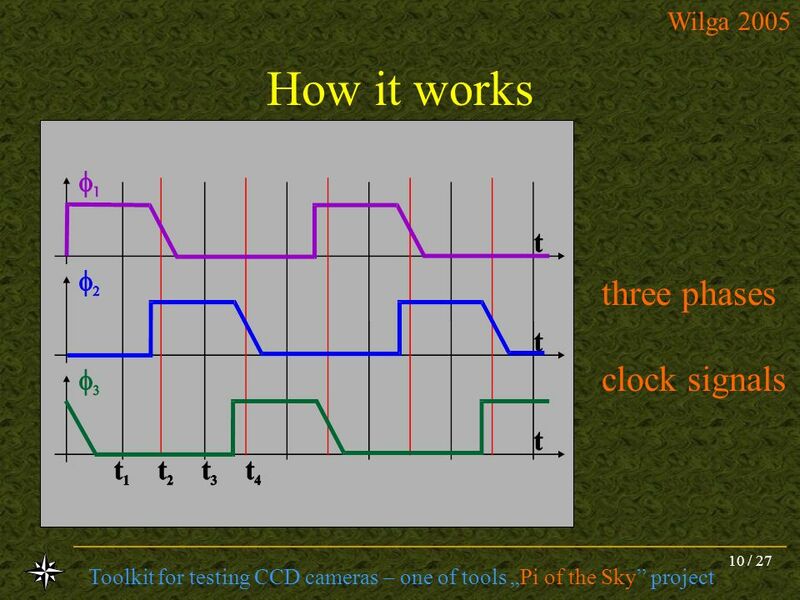 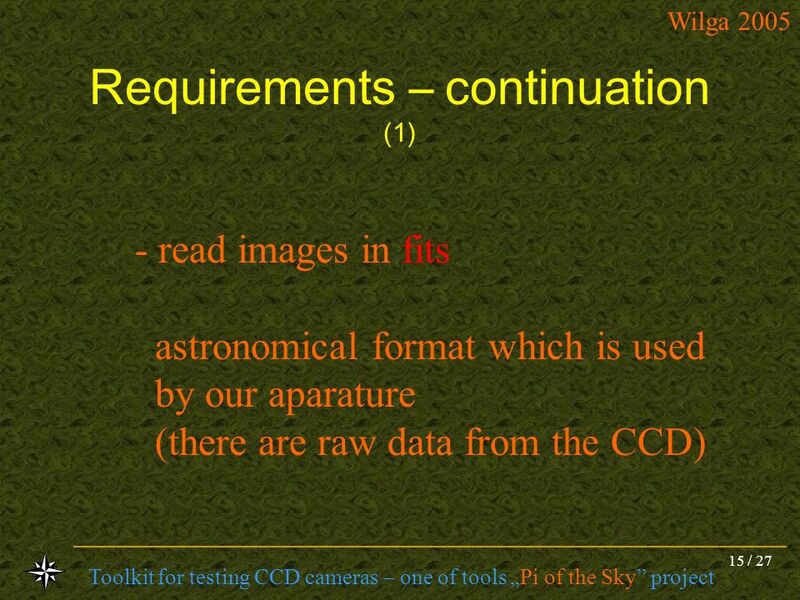 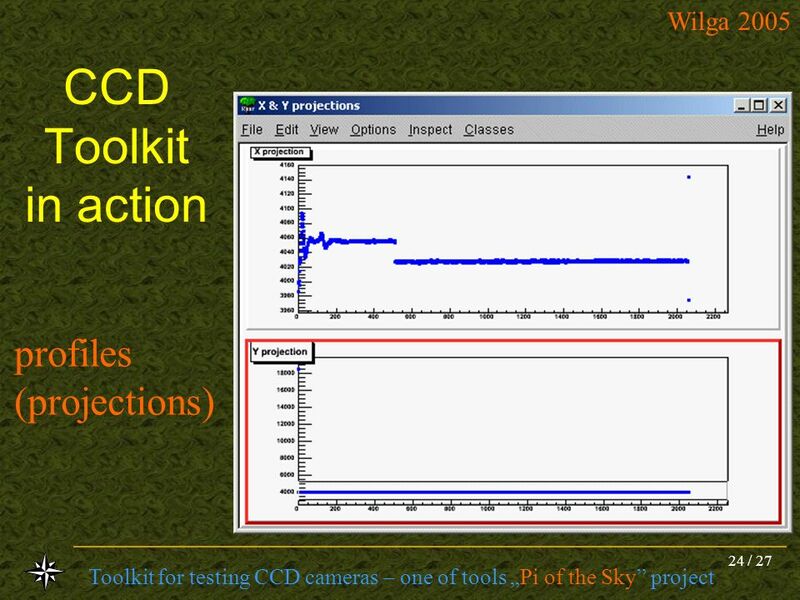 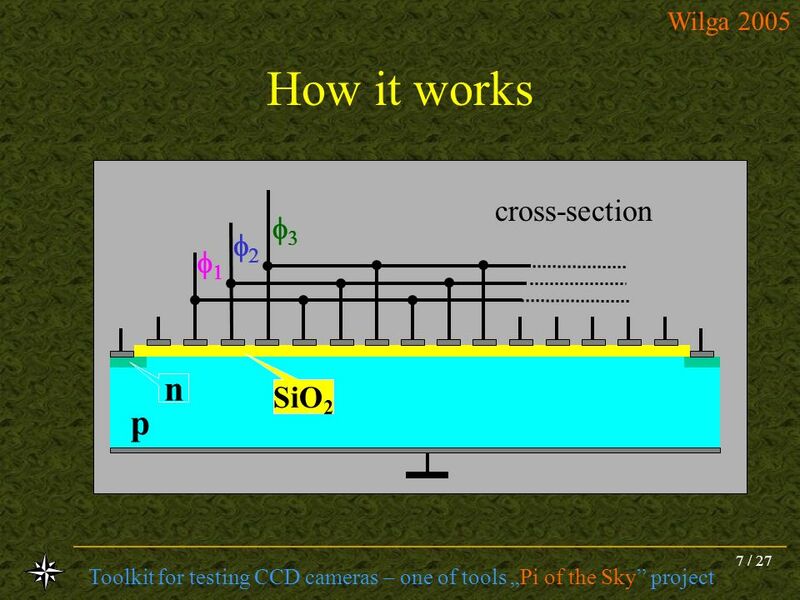 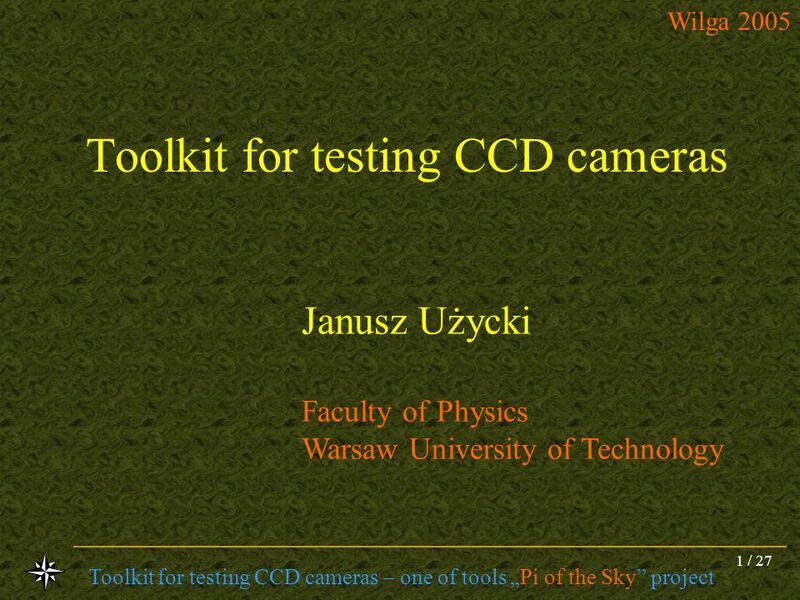 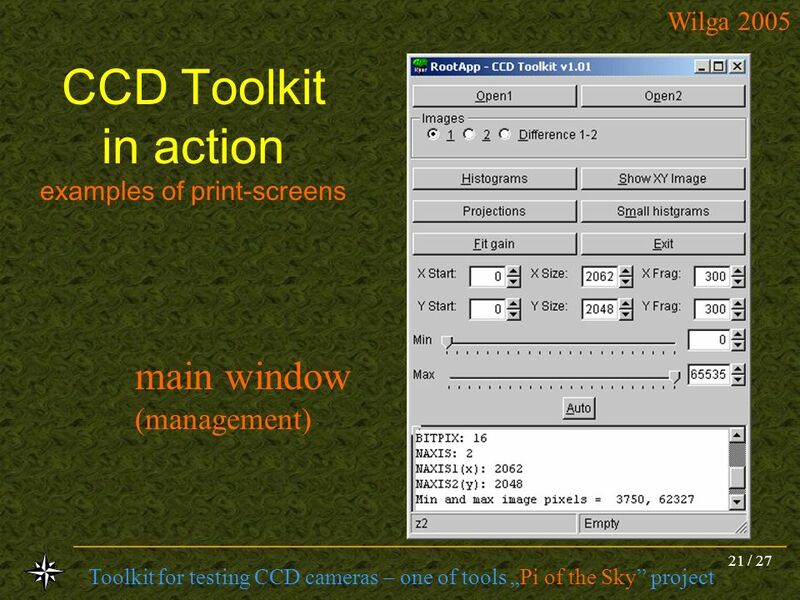 Download ppt "Toolkit for testing CCD cameras"
1 Music Digital Enterprise. 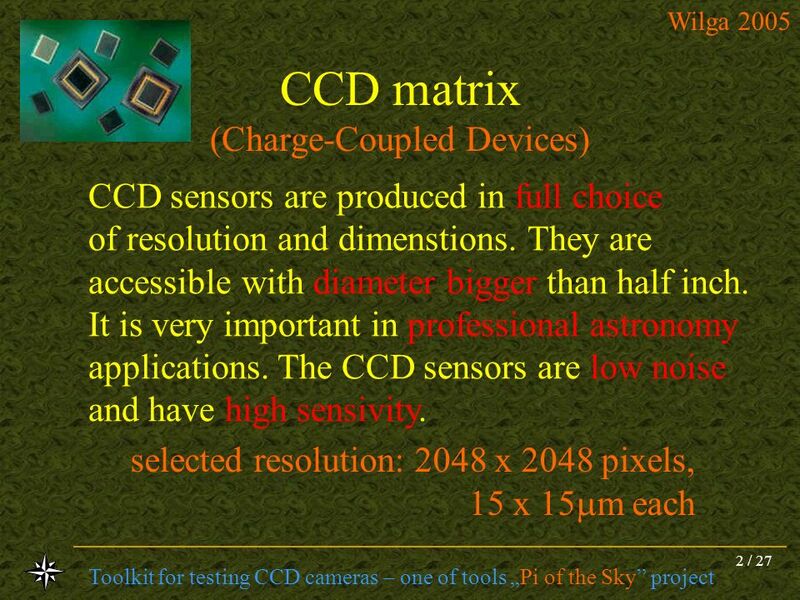 2 Product Description.